The "denture man NDE" is one of those rare, apparently veridical near death experiences. This is an important NDE because it is veridical, apparently proving the reality of a non-localized consciousness, otherwise known as a soul. Therefore all serious students of the NDE should perform a careful analysis of the evidence to see whether this case truly is proof of a non-localized consciousness. The first English language mention of this case was published in the landmark article by the Dutch cardiologist Pim van Lommel during 2001 in the international medical journal, The Lancet (see page 2041 in the original 2001 Lancet article by Pim van Lommel). Early in 2009 I published a website with the known facts of the case as revealed by a transcript of an extensive interview with the male nurse involved (see Terugkeer 2008), together with an analysis of the case below. The Summer edition of Journal of Near Death Studies contains two articles with an ongoing discussion of this case. Unfortunately, many people do not have access to the Dutch language transcripts upon which this story is based. The first anyone outside The Netherlands learned of this case, was in Pim van Lommel's well known article published in the medical journal, The Lancet (see page 2041 in the original 2001 Lancet article by Pim van Lommel). This is a wondrous story. But the Lancet article contains no mention of the year in which the events occurred. All we know is that Pim van Lommel was not in any way connected with the case, because at the time he was a cardiologist working in the city of Arnhem. This account is actually far to vague for any serious anaysis. So what are the facts related to this story? The first account of this story was published during August 1991 by Vincent Meijers in a magazine called "Cordiaal" (see page 11 in Autumn "Terugkeer"). This was the result of an interview with the male nurse (TG) who was head nurse responsible for cardiac resuscitation at the time. On 2 February 1994, Mr. Ap Addink, a co-worker of the Merkawah Foundation conducted the first extensive interview of TG (page 12 in Autumn "Terugkeer"). This latter, or the Vincent Meijers account, were presumably the basis for the story in the subsequent 2001 Lancet article. During 2008, Titus Rivas conducted another, very detailed interview with TG. An extensive transcript of this interview was published in the 2008, Autumn edition of "Terugkeer" (pages 12-20 Autumn "Terugkeer"). Commentary by TG intended as a supplement to this interview was published in the 2008, Winter edition of "Terugkeer" (page 8 in Winter "Terugkeer"). Copies of the Dutch versions of this interview are difficult to come by outside the Netherlands. Moreover, Dutch is not a language in which many people are fluent. So I made a English language translation of this interview, which was checked for accuracy by the editor of Terugkeer and Titus Rivas, the person who conducted this interview. English readers can read the English language translation of this interview by clicking on this link. The content of the 2008 interview with TG did not differ from the earlier interviews (pages 12 and 20 in Autumn "Terugkeer"), so we can assume the memory of TG is accurate as to what he remembers. TG saw this man for a short moment one more time after his discharge from the hospital at the outpatient clinic, but did not speak about his experience at the time. Some time afterwards, TG saw a newspaper announcement of the death of this man (see page 12 Autumn "Terugkeer"). Accordingly the experiences reported by the man who underwent the resuscitation, are unconfirmed by cross-examination of the patient concerned, simply because the man died sometime after after discharge from hospital (page 12 Autumn "Terugkeer"). Moreover, no cross-confirmation with any other of the parties concerned was possible, or has been done. All this means that our knowledge of this "denture man NDE" is solely from the memories of TG at the time of the incident, and his memories of what the patient told him when he spoke with the man when he saw him again on the cardiology ward a few days after the succesful resuscitation in 1979. In other words, the denture-man NDE is an experience remembered by one person, TG from an incident occurring during 1979. This incident made a deep and lasting impression on TG. But the reality of this incident was subsequently never cross-checked or confirmed by other persons. This does not mean the experience did not occur, nor does it diminish the reality of the event. But we must first discuss an important aspect of the transcript of TG before proceeding any further with this fascinating NDE report. This is the differentiation between verifiable fact versus opinion and inference. Just as any other transcript or witness account, these points must be carefully differentiated and separated. So what are we talking about? Opinions and inferences based upon professional experience and learning. Opinions and inferences based upon personal experience. Opinions and inferences based upon hearsay. Conclusions based upon all the above. These elements are in no way specific to the transcript of TG. Such elements are to be found in all transcripts of any event related by a witness. This in no way reduces the value of the transcript of TG. His transcript contains his verifiable observations, as well as his opinions and inferences based upon experience and learning. And what do we find in the transcript of TG? For example, TG stated clearly that Mr. B could not have been conscious, for various reasons. 53. Interviewer: Naturally, the insertion of the Mayo-tube occurred, at least so it seems to me, within a context when there was still no evidence of a heart rhythm? 54. TG: Yes, there was none at the time. No heart rhythm. 55. Interviewer: So no blood circulation and therefore also no brain activity. 182. Interviewer: So then it is out of the question that he had enough brain activity at that moment, or residual activity in his senses to have observed everything by hearing. 183. TG: Yes, it is out of the question. No, at that moment I can be 100% sure of that, no rhythm, no circulation, and I cannot imagine that after all that time that there was enough oxygen in his brain to listen, or see, or to interpret what he observed. No. Paragraphs 53-56. No circulation means no brain activity. This is not entirely correct. Absence and presence of brain activity during cardiac arrest depends on the efficiency of resuscitation as well as the duration of no heart activity. Some people do awaken during cardiac resuscitation (see also the website Near Death Experiences in Survivors of Cardiac Arrest. Brain activity was not measured at the time, which is why its absence was inferred. Paragraphs 182-183. TG could not imagine there was enough oxygen in Mr. B's brain to enable hearing, seeing or interpretation. Again an opinion with an inference, but not a measurement. After all, even TG stated clearly in this transcript that cardiac massage with the Thumper was so efficient, that people sometimes regained conciousness during cardiac massage with this machine despite having no heartbeat (p19 in Autumn "Terugkeer" / paragraphs 189-190). The most important thing I learned from this event for the rest of my life is that in cases of unconsciousness, coma, sedation (sleep with the aid of medication), anesthesia, is that I always try to take into account that patients may experience, feel, and hear things around him, in spite of what we as professionals may think. And that therefore great caution should be exercised with anything we say or do in with such a patient. Never assume that a patient who is unconscious / comatose / clinically dead / anesthetized or sedated, can make no observations in whatever form. This is the important difference between opinion and inference, and that of verifiable fact. Mr. B was conscious during the resuscitation in the hospital. Regardless whether this was consciousness of a soul, or consciousness of the body, he was conscious during this period. That was verified by Mr. B's account of his resuscitation. All this does not reduce the value of TG's testimony in any way. All nurses and physicians involved with such a resuscitation during 1979, as well as during 2010, would have thought the same. The first part of the story relates to the discovery of the man and the arrival of the ambulance. The event took place late in 1979, which is why the weather was cold at the time (p12 in Autumn "Terugkeer" 2008 / paragraph 16). The surname of the resuscitated man was Beekhuizen. He was 44 years of age at the time, and by profession a manual laborer who placed steel reinforcement in concrete constructions (p12 in Autumn "Terugkeer" 2008 / paragraphs 16 & 93). 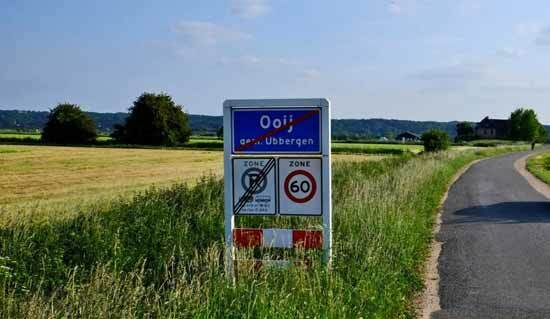 The man was discovered apparently unconscious in a field near the village of Ooij. This village is near the city of Nijmegen in the Netherlands (p12 in Autumn "Terugkeer" 2008 / paragraph 16). Someone called the ambulance service when he/she saw the man lying in a field (p13 in Autumn "Terugkeer" 2008 / paragraphs 21, 25). NOTE. There were no mobile telephone services in 1979. They simply did not exist during 1979. So somebody actually had to go to a house or a telephone booth in order to call the ambulance. This means a significant time elapsed between discovery and arrival of the ambulance. Here are two views of the village of Ooij taken from the Kruisweg (translation "crucifix road"). The story does not tell us whether he was found on one of the fields near these houses, but it gives an idea of the countryside around the village of Ooij. These are the facts of his discovery and transport to the hospital in Nijmegen. The distance between the village of Ooij and the Canisius-Wilhelmina Hospital is about 12 km (a little more than 7 miles). The ambulance could not have travelled faster on these roads than 80-100 km/hr (50-60 mph). So you have time required to call the ambulance, time to get into the ambulance, time required to drive to the place where the man lay, time to walk-run from ambulance to the man, time to assess the situation. All in all, a total of about 15 minutes at least. This delay between discovery and ambulance resuscitation has several important implications. 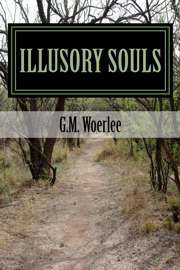 The delay between falling, his discovery in the field, and the arrival of the ambulance has far-reaching implications. We know from extensive medical experience, that for people with a normal body temperature, brain damage occurs after 4 minutes of cardiac arrest, and death after 12 minutes (see Meyer 2000). We know the body temperature of this man at the time of discovery and admission was lower than normal. After all, the ambulance personnel found him lying on the grass in a cold open field, ice-cold to the touch. It is well known that people with low body temperature can survive without any circulation for longer periods than those with normal body temperature. This is the well-known fact that cold meat decays more slowly than warm meat. Total circulatory arrest for 45 minutes is possible at temperatures of 12-14 degrees Celsius (Dobelle 1997, Casthely 1985, Ergin 1982). Increasing body temperature, decreases the time for safe cardiac arrest, so at 16 degrees Celsius safe cardiac arrest time is only 37 minutes (Ti 2003), and it is even less as the temperature rises. So we know from medical fact and experience that he must have had some heart rhythm, otherwise he would have simply have died, or developed severe brain damage while waiting for the ambulance. This man would have been walking on this field appropriately clothed for the weather, and with a normal body temperature. So when he collapsed, his body temperature would have been normal. Clothing slows body cooling, which is why people wear warm clothing when the weather is cold. So if this man had no heart rhythm pumping blood around his body when he collapsed, he would have developed extensive brain damage and died before his body had a chance to cool. In other words, this man most likely collapsed due to a period of abnormal heart rhythm, but still a heart rhythm that pumped blood around his body. And his clothed body slowly cooled down as he lay there for an undetermined time before discovery. Mr. B would have been appropriately dressed for the cold weather. The cause of his collapse in the field was a myocardial infarction (heart attack) causing an abnormal heart rhythm resulting in his collapse (TG in paragraph 82). His heart rhythm could not have been ventricular fibrillation from the time of his collapse until the arrival of the ambulance. We know this because as TG stated in paragraph 33, brain damage is increasingly likely 5-7 minutes after blood flow to the brain ceases. Mr. B lay in the field for a while before discovery, and the arrival of the ambulance after the telephone call would have taken at least 11 minutes (calculated from the distance between Ooij and the Canisius Hospital in Nijmegen). He was appropriately clothed for the weather when he collapsed. So it would have taken very much longer than 5-7 minutes for his body to cool down to brain protective levels of 15-20 degrees Celsius (about 60 degrees Fahrenheit) (CEREBRAL METABOLISM DURING HYPOTHERMIA Ann. Thorac. Surg. 1999;67:1895�9). So if he had continuous ventricular fibrillation while his body was cooling, he would have suffered severe brain damage before the ambulance arrived. Yet he was discharged without any evident brain damage. TG realized this, which is why he stated implied that he must have had a some sort of heart rhythm that pumped blood until the ambulance arrived. This was was clearly explained by TG who stated that the man most likely collapsed in the field due to an abnormal heart rhythm, but certainly could not have had ventricular fibrillation for more than a very short time before arrival of the ambulance (p13 in Autumn "Terugkeer" / paragraphs 33-35). The facts relating to the initial resucitation by the ambulance personnel are known. The ambulance personnel found an ice-cold, unconscious middle-aged man lying on the grass in a field, and commenced cardiopulmonary resuscitation (CPR). The ambulance personnel had an electrocardiogram device and a defibrillator with them, connected it to the man, and discovered he had a wild and irregular heart rhythm called "ventricular fibrillation" (p13 in Autumn "Terugkeer" 2008 / paragraph 32). A heart in vetricular fibrillation twitches erratically and without coordination, as a result of which no blood is pumped around the body. It is known from avalanche rescues, that it is the first ministrations of the rescuers that set off ventricular fibrillation, such as was observed with Mr. B (see case studies describing this well-known phenomenon). This was the cause of the ventricular fibrillation observed at the arrival of the ambulance collecting Mr. B. The ambulance personnel defibrillated him, but to no avail. His heart continued in ventricular fibrillation. So they commenced CPR with manual cardiac massage and artificial respiration with a mask (p13 in Autumn "Terugkeer" 2008 / paragraphs 33 & 28-30). They loaded him in the ambulance, and drove him to the Canisius Hospital in Nijmegen while still continuing with manual cardiac massage and artificial respiration (p13 in Autumn "Terugkeer" 2008 / paragraphs 28-30). This brings us to the resuscitatiion in the hospital in Nijnmegen where TG was the head nurse for cardiac resuscitation. Upon admission to the emergency room of the hospital, the hospital staff took over the CPR (p14 in Autumn "Terugkeer" 2008 / paragraph 21). It should be noted that the temperature of this man was never measured. All we know is that he felt ice-cold to the touch. So any ideas as to the degree of hypothermia are very speculative. The man was placed under a heart massage machine, and the machine was activated. The description of this device matsches that of a pneumatic heart massage device made by Michigan Instruments in the USA, called a "Thumper", which was in clinical use in some hospitals during 1979 (p14 in Autumn "Terugkeer" 2008 / paragraph 93). This man's dentures were removed to prevent them being swallowed and blocking his windpipe, and an oral airway introduced to make artificial respiration with a mask easier. Unfortunately, TG gives two stories regarding the timing of removal of this man's dentures. In the first report, TG states that the dentures were removed after starting the Thumper (p14-15 in Autumn "Terugkeer" 2008 / paragraphs 58, 93). In a second statement TG states that the dentures were removed after positioning the man under the Thumper, and only after the mask for artificial respiration was positioned on the man's face was the Thumper started (p8 in Winter "Terugkeer" 2008). TG reported that Beekhuizen described actually seeing and feeling TG removing his dentures, saying that TG placed them in a drawer of a cart on which were many small bottles or ampoules (p16 in Autumn "Terugkeer" / paragraph 94). NOTE This is a difference between what Beekhuizen saw, and what TG actually did. TG described placing the dentures on a shelf (p16 in Autumn "Terugkeer" / paragraphs 93-95). The dentures of the man were placed on a wooden shelf of the trolley used to contain the apparatus and drugs used for cardiac resuscitation (the "crash-cart") (p14, 16, 19 in Autumn "Terugkeer" / paragraphs 51, 93-95, 171-173). Beekhuizen also described hearing the sound of glass ampoules or small bottles rattling against each other (p16 in Autumn "Terugkeer" / paragraph 93). During the subsequent resuscitation procedure, there were several episodes of ventricular fibrillation with defibrillation. Drugs were also administered to improve his condition, and to try and improve his heart rhythm (p15 in Autumn "Terugkeer" / paragraphs 70-71). TG was present during the whole resuscitation in his capacity as head nurse, and was assisted by two female student nurses (paragraph 44). TG looked regularly in the eyes of the man being resuscitated to check to pupil size, as well as to test for pupil reactions to light (p16 in Autumn "Terugkeer" / paragraphs 99-101, 105 ). At the same time, he responded to orders from the doctors in charge of the resuscitation, and was himself assisted by the two student nurses. This means there were regular dialogues, requests, and orders (p14, p17 in Autumn "Terugkeer" / paragraphs 103, 105). TG stated clearly in this transcript that cardiac massage with the Thumper was so efficient, that people sometimes regained conciousness during cardiac massage with this machine despite having no heartbeat (p19 in Autumn "Terugkeer" / paragraphs 189-190). About 90 minutes after admission to hospital, and intensive resuscitative efforts, an effective heart rhythm was restored. Heart massage was stopped, and the man was transported to the intensive care unit. He was still unconscious, and still was not breathing adequately when transported to the intensive care (p15, p17 in Autumn "Terugkeer" / paragraph 72). On the intensive care unit he was intubated, (a tube placed in his windpipe), and given artificial respiration with a machine. Furthermore, electrocardiograms and laboratory investigations revealed that his cardiac condition had been caused by a major heart attack (myocardial infarction) (p15 in Autumn "Terugkeer" / paragraphs 76, 82). As was intimated by TG, the most likely cause of consciousness was the efficient resuscitation with the Thumper. And indeed, efficient cardiac resuscitation can restore and sustain consciousness (see Consciousness during Cardiac Resuscitation). Beekhuizen underwent an OBE during his resuscitation with the following properties and experiences. Beekhuizen told TG that at the same time as he was undergoing an out-of-body experience, he also felt the pain of the heart massage due to the Thumper (p17, p19 in Autumn "Terugkeer" / paragraphs 93, 115, 187-190, 197-200). Beekhuizen also told TG that during his out-of-body experience, he observed and heard everything occurring in the resuscitation room from a vantage point high in a corner of the room. He described the resuscitation, the presence of the two female student nurses, and saw himself under the Thumper (p16, p17, p19 in Autumn "Terugkeer" / paragraphs 95, 99-106, 198). TG reported that Beekhuizen told him he heard the doctors discussing whether they should proceed with the resuscitation. Beekhuizen tried telling them that he was alive, and to continue, but nobody observed this attempt at communication (p17 in Autumn "Terugkeer" / paragraphs 95, 115-121). Only about 25% of people experience an OBE during an NDE (see Page on OBE's). Furthermore about 7% of persons experience pain during OBE's (see Tiberi-1993 "Extrasomatic Emotions"). The cause of this is simply that the OBE is an illusion of disembodiment, so that any pain felt is a consequence of the inducing cause of the OBE. After the successful resuscitation, followed by a week in the intensive care unit, this man recalled the observations made during his resuscitation. He recognized TG immediately from his appearance and/or his unique voice when TG walked inside his room. TG was the man who had removed his dentures! TG was the man who knew where to find his dentures! We read all these things in the transcript. A week later, after being transferred to the cardiology ward, TG entered his room during a drug administration round. The man immediately recognized TG as the man who had removed his dentures, and who knew where they were to be found (p16 in Autumn "Terugkeer" / paragraphs 89, 136-141, 169, 203). TG says himself that he has an unusual and very distinctive voice, a fact confirmed by Titus Rivas in his transcript (p18 in Autumn "Terugkeer" / paragraphs 160-165). Now we come to a summary of what has been discussed and determined as medical explanation for the experience of Mr. B. He fell in the field near Ooij as a result of a period of temporary abnormal heart rhythm caused by a heart attack (myocardial infarction) (paragraph 23 in TG transcript). He lay in the field for an undetermined time until his discovery. He survived this period because he must have had some form of heart rhythm that pumped blood. He survived the period of inefficient resuscitation from the point of arrival of the ambulance until his arrival in the resuscitation room because he very likely had intermittent, spontaneously remitting ventricular fibrillation / tachycardia. Nowhere does the transcript mention Mr. B's body temperature, so the degree of hypothermia is conjecture. A statement that he felt as cold as ice is a subjective determination of surface body temperature and nor a measurement. The degree of hypothermia is therefore an opinion, and not a measurement. We do know he survived this period without any extensive rewarming measures being applied. So his degree of hypothermia was very mild, and insufficient to result in any brain protection. We know this because of the facts reported about his resuscitation and the fact he was able to remember the events occurring during his resuscitation. He was conscious during his resuscitation in the resuscitation room because resuscitative measures applied from the time of arrival were sufficient to generate a blood flow to restore consciousness. And we know he was conscious during this period, because he was able to report the events occurring during this period of resuscitation. His OBE was therefore clearly due to displacement of his body image induced by his period of abnormal brain function. So what is left. All aspects of this story have a very adequate medical explanation. Aha, is a commonly heard reaction from the dualists, but a dualist explanation explains this experience just as adequately, and with a lot less complexity. Unfortunately for dualists, oxygen starvation as occurs during cardiac resuscitation also generates OBEs, feelings of transcendence, retention of the ability to hear, etc, etc (many, many human medical studies). So how can the dualist distinguish between an experience due to oxygen starvation in this case, and one which is a manifestation of the soul? It is impossible. This latter consideration renders the dualist position less tenable than that of the materialist. Finally, the report of "denture man" provides us with unique insights in the genesis of the out-of-body-experience. This fact alone makes it a valuable experience well worth studying. Moreover, this story also gives a clear message - not everyone is unconscious during resuscitation due to a cardiac arrest. But despite the wonderful elements in this story, all elements and observations are explained by the workings of the human body during cardiac arrest and resuscitation. Yet this story is not only a "mere" biological phenomenon, it is also a wonderful demonstration of how the human consciousness may be present during even the most harsh and unlikely conditions. Bihari S, Rajajee V (2008), Prolonged Retention of Awareness During Cardiopulmonary Resuscitation for Cardiac Asystolic Arrest. Neurocritical Care, May 16, e-publication. Brugger P, et al, (1999). Hallucinatory experiences in extreme-altitude climbers. Neuropsychiatry, Neuropsychology, and Behavioral Neurology, 12, 67-71. Cashely PA, et al, (1985), Anesthesia for Aortic arch repair aneurysms: experience with 17 patients. Canadian Anaesthetists Society Journal, 32:73-78. Dobelle ARC, Bailey JS, (1997), Charles Drew and the Origins of Deep Hypothermic Circulatory Judgment. Annals of Thoracic Surgery, 63: 1193-1199. Duane TD, (1966), Experimental blackout and the visual system. Transactions of the American Society Opthalmalogical Society, 64: 488-542. Ergin MA, et al, (1982), Experience with Profound Hypothermia and circulatory arrest in the treatment of aneurysms of the arch Aortic arch replacement for Acute Aortic Dissection arch. Journal of Thoracic and Cardiovascular Surgery, 84: 649-655. Firth PG, Bolay H, (2004), Transient High Altitude Neurological Dysfunction: An Origin in the Temporoparietal Cortex. High Altitude Medicine & Biology, 5: 71-75. Horak FB, et al, (1990), Postural strategies associated with somatosensory and Postural loss. Experimental Brain Research, 82: 167-177. Laureys S, et al, (2005), The locked-in syndrome: what is it like to be conscious but paralyzed and voiceless? Progress in Brain Research, 150: 495-512. Lewinter JR, et al, (1989), Evidence for cardiac compression causing forward flow, Annals of Emergency Medicine, 18: 1111-1115. Lier EJ van, Stickney JC, (1963), Hypoxia, published University of Chicago Press, USA. Lommel P, et al, (2001), Near death experience in survivors of cardiac arrest: a prospective study in the Netherlands. Lancet, 358: 2039-2045. Mallet ML (2002), Pathophysiology of Accidental Hypothermia. Quarterly Journal of Medicine, 95: 775-785. Moser B, et al, (2005), One night in a snowbank: A case report of severe hypothermia and cardiac arrest. Resuscitation, 65, 365-368. Woerlee GM, (2004), Cardiac Case and Near Death Experiences. Journal of Near Death Experiences, 22: 235-249. Woerlee GM, (2005), Mortal Minds. 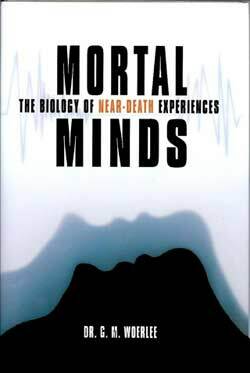 The Biology of the Near Death Experience, Published by Prometheus, USA. Woerlee GM, (2008), The Unholy Legacy of Abraham, Pub. Book Locker, USA, ISBN 978-1-60145-621-2.